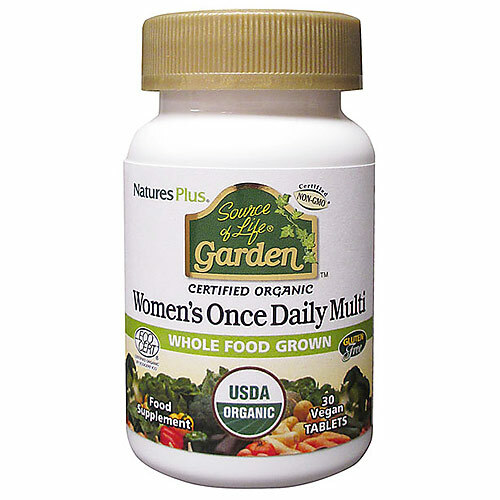 Source of Life Garden Organic Women`s Once Daily Multi is the most convenient way to harness the energising power of wholesome nutrients from real, certified organic fruits and vegetables, without pesticides, synthetic chemicals, yeast, allergens and other toxins. As a food supplement for adults, take 1 tablet daily. If you are pregnant or nursing or are taking any medications, consult your health care practitioner before using any herbal product. Below are reviews of Source of Life Garden Organic Women`s Once Daily Multi - 30 Tablets by bodykind customers. If you have tried this product we'd love to hear what you think so please leave a review. 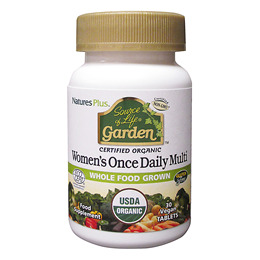 Source of Life Garden Organic Women`s Once Daily Multi is the most convenient way to harness the energising power of wholesome nutrients from real, certified organic fruits and vegetables.